Thousands of people each year complete some type of remodeling project in their homes. Knocking down walls, adding rooms, painting walls, getting new cabinets, upgrading your light fixtures, installing new flooring, and so much more can all be done in your home to give it the facelift you are looking for. 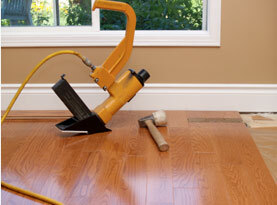 If you are in the process of remodeling you may be shopping for some hardwood flooring. Mike’s Custom Flooring has some factors for you to consider as you make your decision about what flooring to purchase. First you will need to decide if you would like to have traditional hardwood floor or engineered flooring. Hardwood flooring is made of solid hardwood. Engineered flooring is a plank that has a thin top layer of hardwood attached to it. There are benefits to both types of flooring. Hardwood flooring is quieter but engineered flooring is typically more durable. You will need to make this decision first. If you decide on hardwood flooring you will need to decide if you want your wood prefinished or site finished. Prefinished flooring is purchased with the stain and topcoat already applied. Once the prefinished hardwood is installed you are done with your project. If you choose site finished hardwood you will have to install and then apply the stain and topcoat. 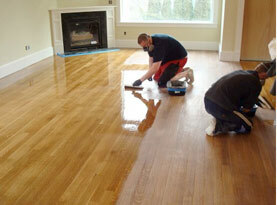 The process for installing hardwood is longer because of the need to apply the stain and topcoat. Hardwood flooring can be refinished later with a different finish than you originally did if you are ready for a change. After you have decided whether or not you are going to purchase hardwood flooring or engineered flooring you will need to select your actual flooring. There are many factors to consider when selecting your new flooring. •	Board Widths: Both hardwood and engineered wood flooring come in a variety of widths. There is no distant advantage to one size over another, this is simply your personal preference. •	Wood Species: If you have decided on hardwood you will need to select what wood type you would prefer for your flooring. Oak is considered the king of hardwood flooring here in North America. Oak is an excellent choice because it is durable and easy to stain. Walnut, maple, and cherry are also popular choices. Mahogany and Brazilian cherry are stunning but are not as durable. •	Hardwood Color & Texture: Both hardwood and engineered flooring come in a large variety of colors and textures. You can select something shiny and new or something vintage and aged looking. Hand-scraped wood can help bring variation to the flooring. •	Hardness & Thickness: If you select engineered wood flooring you will be able to pick how thick your planks are. The thickness is measured in millimeters. The higher the number the thicker the plank will be. Some species of hardwood are harder than others. Hard species like oak will be able to withstand the wear and tear that may be an issue in your home. 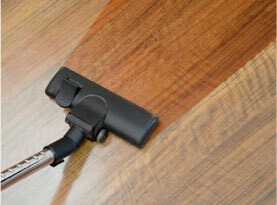 Engineered flooring also has excellent wear and tear. As you shop make sure that you keep your style and home in mind. Do not let someone talk you into settling on a type of wood that you do not actually like. 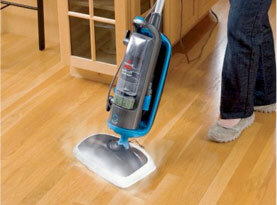 The odds of you redoing your floors in the near future aren’t very high. Once you have selected your flooring give us a call at Mike’s Custom Flooring to set-up your installation. We will be honored if you allow us to join you on your remodeling journey!